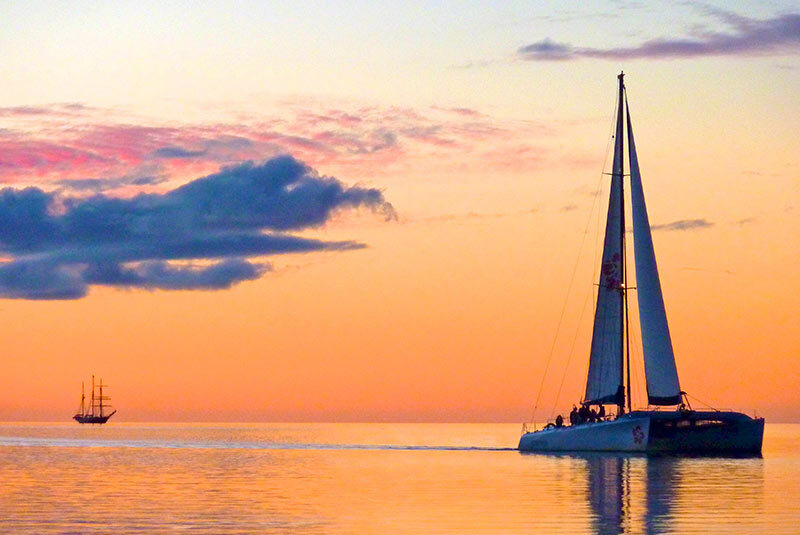 Superb wildlife sailing cruises with Australia 's only pure wildlife sailing specialist. 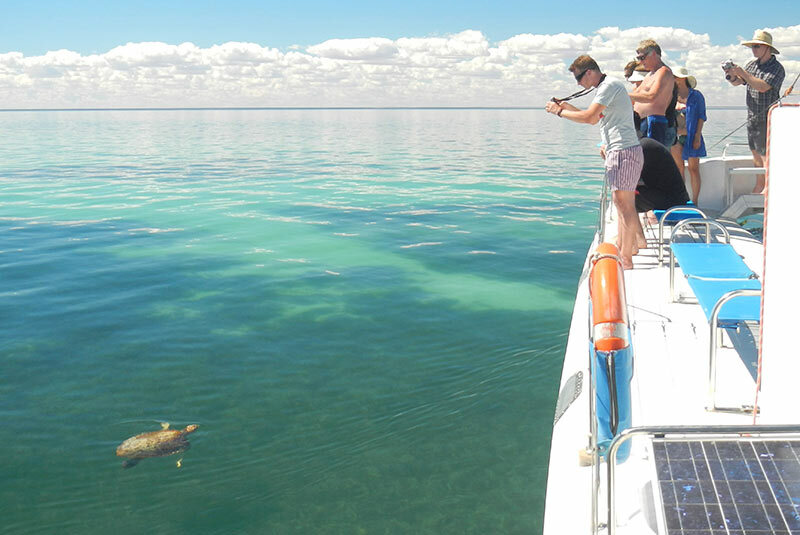 The awesome 60' (18m) catamaran ‘Shotover' has a capacity for 49 guests & a choice of 4 fabulous cruises, including the world's only daily, scheduled ‘mermaid' (dugong) watching cruise. "Sail with a bunch of animals" - This is THE cruise to see dugong, dolphins, turtles (plus all the other animals). Three hours of wonderful wildlife, sensational sailing, fantastic fun. "Australia's last sunset" - A perfect way to end the day, bring a friend and your favourite drink to catch the sun as it turns day into night. Unlimited, free repeat cruises until you've see the animals to your satisfaction. Enjoy a highly personalised (maximum 7 guests), fair dinkum, off-road experience with a local guide in an air conditioned rugged 4WD vehicle. Travel through an untouched, spectacular, special piece of earth, right where Outback Australia meets the coast. Venture into the outback bush, down wild tracks, over rolling red sand dunes, through dense Acacia shrub-lands, along magnificent bluffs and deserted beaches. A sensory adventure on the beach exploring the fascinating jewels of our awesome universe. In the vivid blaze of Monkey Mia's stunning night sky you'll meet stars, planets, galaxies, constellations and, far fetched as it may seem, someone descended from outer space – really! As well as being informative, all activities are casual and relaxed, with an emphasis on fun. 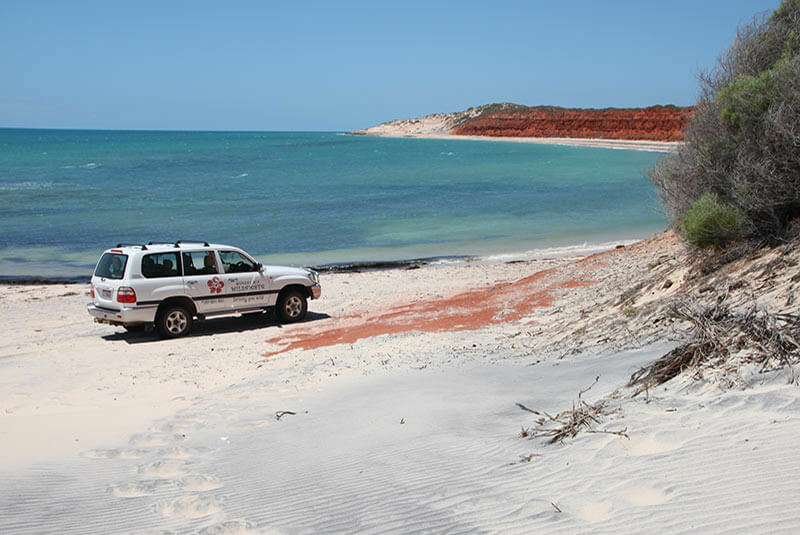 We operate every day, year round, with permanent staff, plus offices and workshops at Monkey Mia and Denham. We are setting benchmarks for wildlife cruise operators worldwide through our dedication to preserve tomorrow today, using role-model Environmental Best Practices.